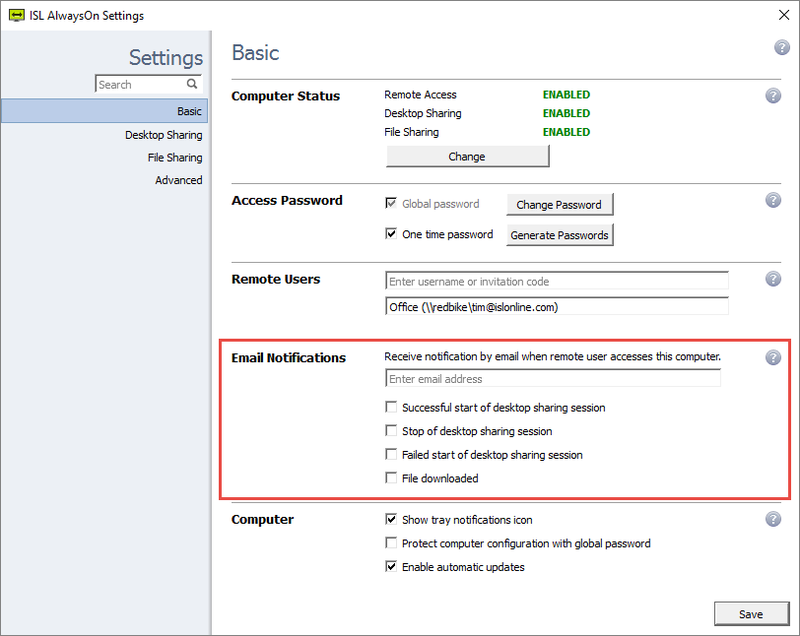 Here you will find a list of Email Notifications that can be enabled/disabled. Notification sent to email after a session was started successfully. Email address entered into Enter new email box. Checked tick boxes for Successful start of desktop sharing session, and File downloaded. After a connection is made to a computer a notification is sent to the email address entered in the box as shown above.